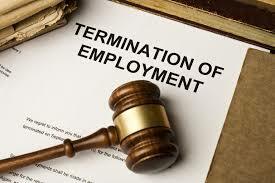 It is trite law that an employee is entitled to reasonable common law notice upon termination, unless an employment contract legally limits the employee in a termination clause to the Employment Standards Act, 2000 [“ESA”] minimums. Since the highly-anticipated Ontario Court of Appeal’s ruling in Wood v Fred Deeley Imports Ltd., 2017 ONCA 158,[“Wood’] which dealt with the legality of termination clauses, released earlier this year, Ontario’s highest court has revisited the issue twice more. Wood held that the termination clause’s failure to mention the ESA’s obligation to pay benefits during the notice period and provide severance pay rendered the clause invalid. The Court further noted that how the termination payments were actually carried out is irrelevant to the analysis and any ambiguity in the clause will be construed to the benefit of the employee, i.e. render the clause invalid and entitle them to reasonable common law notice. In Covenho v Pendylum Ltd., 2017 ONCA 284, released shortly after Wood, dealt with a situation where an employee was terminated prior to accruing three months of service, which under the ESA would not require an employer to provide notice of termination. The Court of Appeal held that termination clauses will be enforceable only if compliant with the ESA at any point in the employee’s tenure. Again, several months later the Ontario Court of Appeal weighed in on a termination clause in North v Metaswitch Networks Corporation, 2017 ONCA 790 [“North”]. The Court determined that the provision of “base salary” to the exclusion of commissions during the notice period is a violation of the ESA which prohibits the reduction of wages during the notice period. The severability clause contained in the contract did not help the employer and cannot be used to save a termination clause, as the entire clause is void under the statute. Most interestingly, the Court clarified their 2016 decision in Oudin v Centre Francophone de Toronto, 2016 ONCA 514 [“Oudin”]. The takeaways from these decisions and the new comments on Oudin reaffirm that the assessment of a termination clause will be an unforgiving process from the point of the employer. Constructing a valid termination clause will require no ambiguity and the explicit provision of all benefits and rights during the notice period required by the ESA. It is important to hire an employment lawyer to navigate these types of clauses, whether you are an employee or employer. Call Monkhouse Law today for a free 30 minute consultation. About the Author: Samantha Lucifora is an associate lawyer at Monkhouse Law where she aids employers and employees in navigating workplace issues, including terminations, human rights and disability law.